Despite the recent thundersnow, I wanted to post an outfit that I shot a couple of weekends ago, when it was boiling and warm enough to wear a t shirt and sandals. 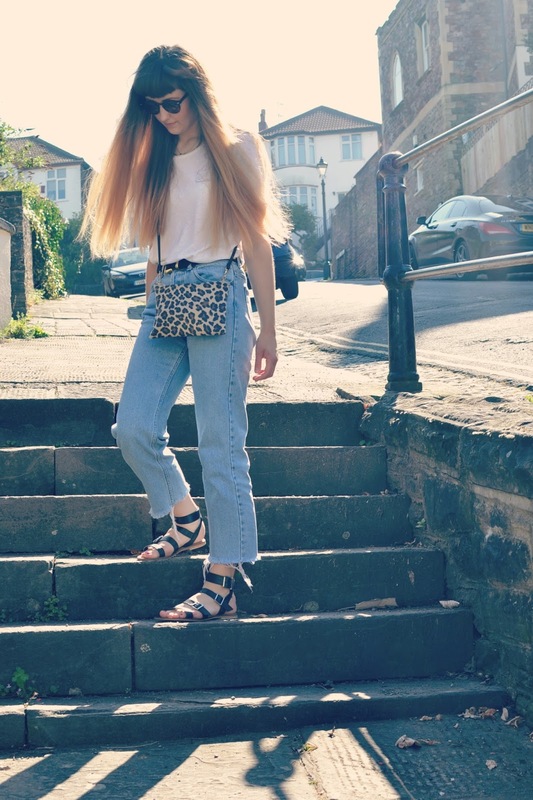 I bought all of these items last year (except the bag which was a gift, and the vintage items which I've had aeons) and even though they are quite basic, they make for really perfect slouchy Sunday dressing - comfy but still fairly put together! 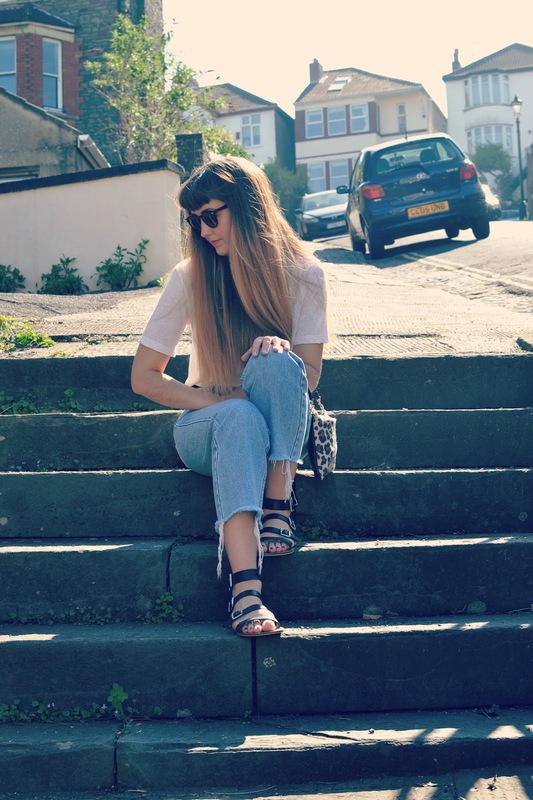 A white t shirt is always touted as a wardrobe 'must have' and whilst they are quite boring, they really do go with so much. I've got a couple; this one and one with a logo on it, and I wear them both a huge amount. They look so nice tucked into a midi skirt for work as they do with jeans for the weekend. I particularly like the fit of this one which is loose but not baggy. Every time I photograph these jeans, I think they look really unflattering, but I like the fit and they are really comfortable. I prefer dark jeans even in the summer but there's something fresh about a classic pair of stonewashed Levi's - another classic that never really dates. 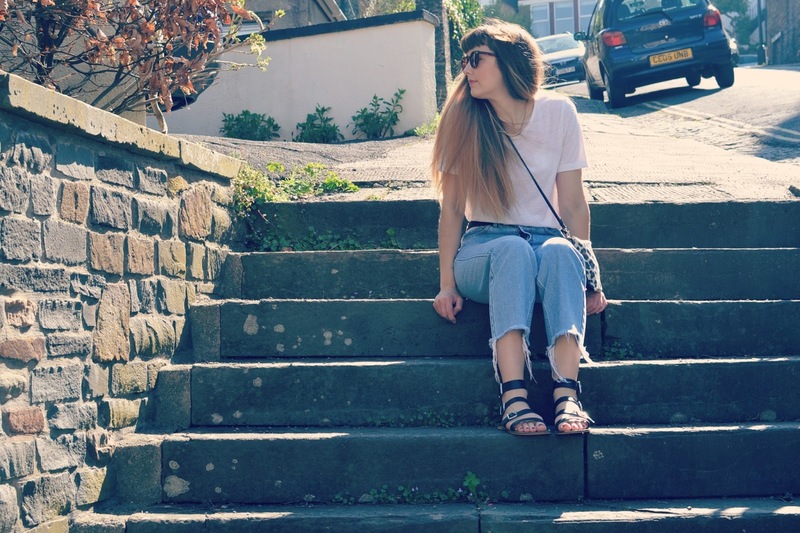 Likewise, a pair of leather gladiator sandals are something that I reach for year on year; these ones were from ASOS but there are so many simple styles on the high street that will make perfect summer investments.